Applications for first semester 2019 have closed and the stats are in – the Universities Admissions Centre (UAC) received more than 75,000 domestics applications for undergraduate study in 2019. The most popular fields of study chosen by applicants were Health, Management and Commerce, and Society and Culture. The majority of those applications – around 50,000 – were from current Year 12 students who are about to begin their university careers. Jessica Murphy is one of these applicants. 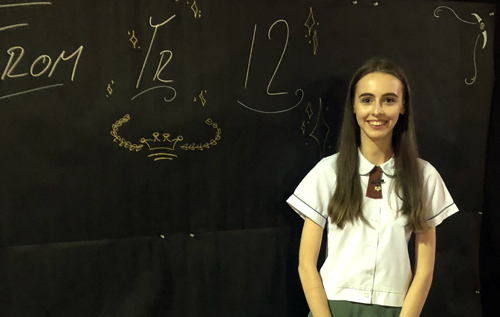 Having received an early offer to the Bachelor of Business Leadership and Commerce at Macquarie University she accepted it straight away and has avoided a nervous wait for ATAR release and offer rounds. After nearly three months of summer holidays, and despite some casual retail work, she is also keen to start the university year, 'I’m looking forward to getting back into a routine,' she says. Seth Hennessy is also looking forward to starting university. He received an offer to a Bachelor of Medical Sciences. Seth is preparing himself for a long university career. His aim is to use this degree as a stepping-stone to medicine and eventually becoming a surgeon.